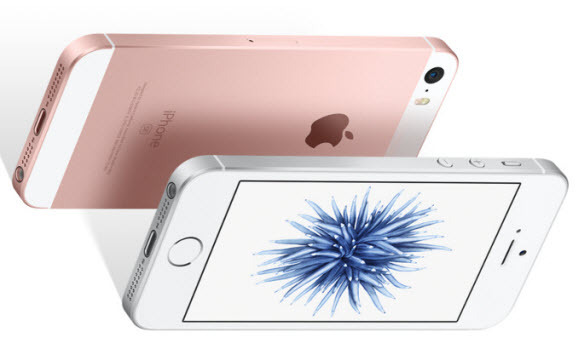 On March 21, 2016, Apple releases a set of iPhone SE handsets in Cupertino, California. The new 4-inch iPhone SE will debut at $399 for US customers, which, to a great extent, attracts customers who balk at iPhone’s high price to buy this new iPhone SE. Here the article will introduce 5 highlights of iPhone SE and how to keep iTunes movies and Apple Music on you new iPhone SE forever. Price - The iPhone SE sells for just $399 for a 16GB version and $499 for a 64GB version — a price which is very competitive for the type of performance the phone offers. Nowadays, consumers now are more price conscious about phones. Price is always one of the key factors that influences people whether to buy or not. Size - Recent years, our phones get bigger and bigger. But, this new iPhone SE comes with the 4-inch display rather than following the mainstream of larger phones. The 4-inch new iPhone is pocket friendly most importantly, is power-saving. With this new phone, it is more convenient to listen to music on the go. Performance - Smaller size and lower price doesn’t mean the iPhone SE is a low-end phone. Instead, Apple took the exact same A9 processor and M9 motion coprocessor from the iPhone 6S and put it inside the iPhone SE, which makes it as the most powerful small size smartphone in the market. Battery Life - Thanks to the more efficient A9 processor and software enhancements, the iPhone SE gets better battery life than the iPhone 5S. And the smaller size of iPhone SE makes it less less power consuming. With better battery life, it is possible for you to enjoying videos longer with the big screen phones. 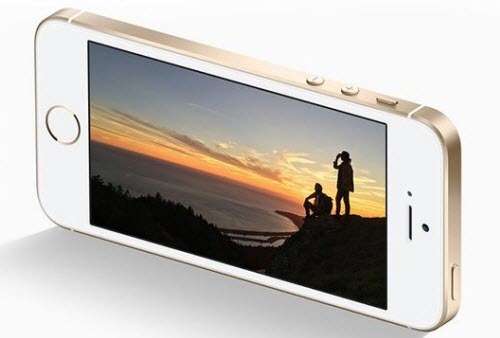 Camera - The iPhone SE has the same 12-megapixel rear camera in the 6S, which is one of the best on the market. Also, iPhone SE enables you take Live Photos and 4K video. It seems that the small iPhone SE turns out to be a big deal. For those who like small phones, iPhone SE seemsto the second-to-none choice. Next, let's learn how to keep iTunes rentals and Apple Music on your new iPhone SE forever with NoteBurner DRM Removal tools. The 4-inch iPhone SE is perfect for enjoying music as it is portable. You can download the music you want on the iPhone SE for listening on the go. But, you should note that you cannot keep listeing to the downloaded Apple Music if you unsubscibe from Apple Music. Why? Apple Music downloaded songs are all inserted with DRM which restricts you from listening to Apple Music after unsubscription. 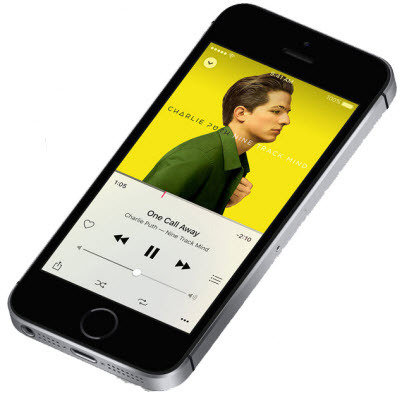 To keep Apple Music songs forever on your iPhone SE, you can seek help from NoteBurner Apple Music Converter (For Windows | For Mac). 1. Add Apple Music Songs - Click the add audio button. And you will see that all your music will be lisetd in the pop-up dialogue. Then add the Apple Music songs you want to convert to NoteBurner Apple Music Converter. Batch conversion is supported. 2. Set Preferences - You can set the output format, output quality, conversion speed and output path in NoteBurner preferences. This Apple Music Converter can help you convert Apple Music to MP3 or M4A at 5X faster speed with lossless quality. 3. Convert Apple Music Song - Click the Convert button to start convert the Apple Music songs to MP3 or M4A. With these three steps, you can keep Apple Music songs forever on your iPhone SE. Want to remove DRM so that you can keep iTunes rental and be free from the restrictions? 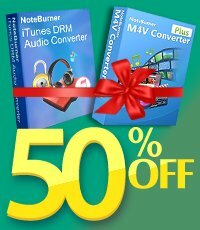 Then you will need NoteBurner M4V Converter Plus (For Mac & For Windows). With this iTunes Rental Converter, you can remove Apple FairPlay DRM from iTunes rentals, thus to extend iTunes movie rentals beyond 24 hours & keep iTunes rentals forever. What's more, you can keep lossless quality of the iTunes rentals. You can download this powerful DRM removal to help you keep iTunes movie rentals forever on your iPhone SE. 1. Import iTunes Rented Movies or TV Shows - Download and install the NoteBurner iTunes Rentals Converter on your Windows or Mac, then click "Add movies" button on the top-left to choose the content you want to convert from iTunes library. After that, click "Add", the files will be successfully imported. 2. Choose Output Settings - To get better quality and conversion speed, you can simply click button next to "Convert to" and choose "Same as source for mp4" from the dropdown list. The quality of the output video will be lossless. 3. Remove DRM from iTunes Rentals - Click the "Convert" button at the bottom of the main interface and start to convert iTunes rentals to normal MP4 video. When the conversion finishes, iTunes rentals are no different from other local video files. You can keep them forever and play them on any devices. What's next? Download and buy these two useful DRM Removals to help you remove DRM from iTunes videos and songs. 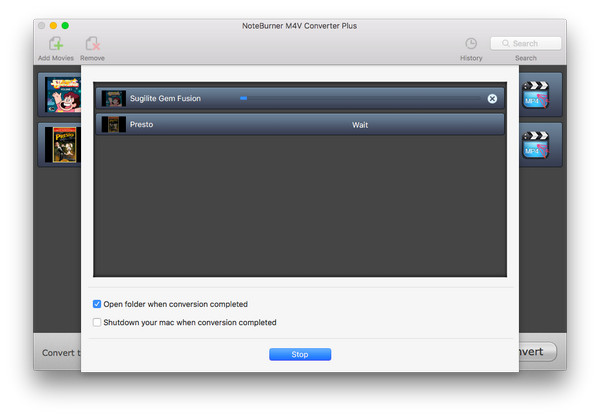 There is a suite of M4V Converter Plus and iTunes DRM Audio Converter, which saves you $64.95 to get both of them.